Each state creates their own training requirements for senior home care professionals. 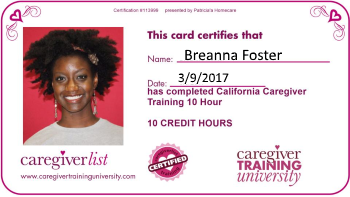 Certified Home Health Aides are a training certification provided in New Jersey, Florida and California. Click below to find C.H.H.A. Training Schools in your state.